So, it’s time to look at wood replacement windows for your home. You begin your research and find a myriad of products, installation options, and several Milwaukee window installation companies, all of whom state they offer the “best” products out there. Between the dozens of window brands and wood, vinyl, or fiberglass options, how do you choose? How long will I be in my house? Am I OK with “white or beige” on the interior or do I want the look of stained wood? Do I want to keep my original woodwork, or do I want to replace that as well? FACT: All replacement windows are essentially “maintenance free”, which eliminates the need for storm windows. So buying any replacement window will fulfill the “low maintenance” criteria on your list. It then comes down to what material best fits your individual preferences. This series of articles will attempt to help you sort out the vast array of options and hopefully help you find the best wood replacement windows for YOU; windows that best fit your home, style and budget. HomeTowne offers three brands of this type: Pella, Marvin, and Andersen. What’s the difference between Andersen, Pella, and Marvin wood replacement windows? Andersen, Pella, and Marvin are some of the most popular window manufacturers in the country. All three brands have exceptional build quality, but there are a few important differences between the styles and options they offer. 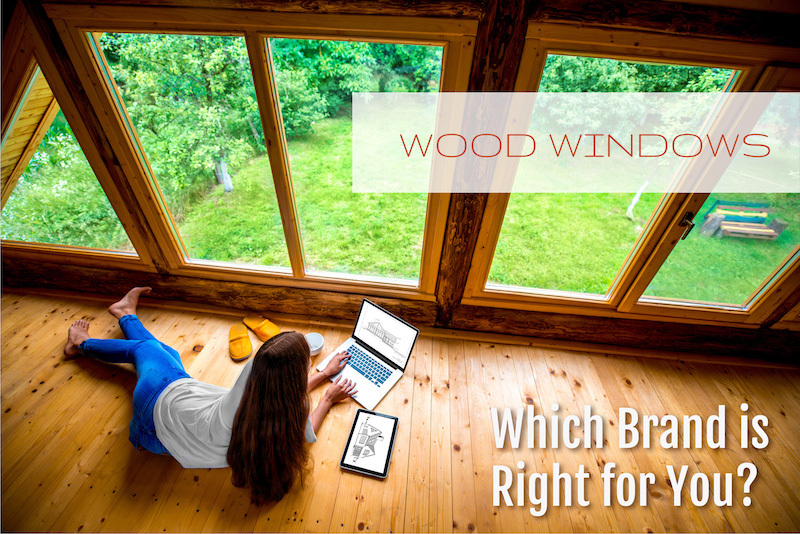 Click on the Logo below to read about each featured brand’s different wood window options. So, Who Makes the Best Wood Replacement Windows? HomeTowne Windows and Doors offers the best replacement window brands in the metro Milwaukee area. (OK we are a little biased!) Speak with a dedicated project consultant about which wood replacement window option is right for you by calling 414-329-1200, or visiting our HomeTowne Windows and Doors showroom in New Berlin!